The expression “There’s more than one way to skin a cat” is a colloquial reminder that there are many ways to solve a problem. That’s demonstrably true when it comes to monitoring networks and network services. From SNMP to flow records to packet capture, engineers have a multitude of choices. 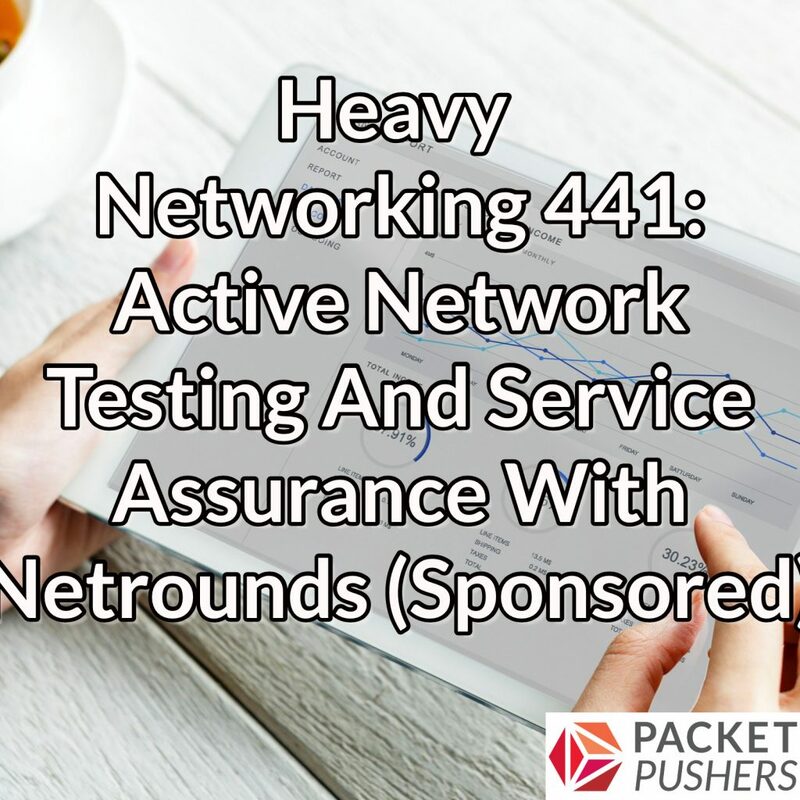 On today’s Heavy Networking we talk with sponsor Netrounds about another approach: that of active testing and service assurance. Rather than passively collect metrics, Netrounds software generates synthetic traffic to measure actual performance of critical services. It helps network engineers ensure that key performance indicators are being met, and identify where problems occur. Joining us to talk about active testing and the concept of service assurance are Mats Nordlund, CEO and co-founder of Netrounds; and Stefan Vallin, Director of Product Strategy.